Braving snowfall and dwindling temperatures, more than 100 law enforcement authorities scoured the mountains near Big Bear today in search of a fired Los Angeles Police Department officer accused in the revenge killings of a college basketball coach and her fiance and the ambush slaying of a Riverside police officer. Law enforcement began searching the mountainous Big Bear area in San Bernardino County on Thursday, after the pickup truck belonging to 33-year-old Christopher Jordan Dorner was found burning just off a forest road in the area around 2:30 p.m. According to San Bernardino County Sheriff John McMahon, sheriff’s deputies and police officers were using specialized equipment such as armored personnel carriers equipped with chains to help them navigate the snow-covered roadways. Sheriff’s officials said the search would continue until Dorner was located or evidence was found indicating he was no longer in the Big Bear area. Officials said some tracks were found during the search effort, but investigators determined they did not belong to Dorner. Meanwhile, authorities searched Dorner’s mother’s home in La Palma, where Dorner was believed to have either been staying or recently visited prior to the outbreak of violence. There was no word on what investigators found at the home. The lingering search continued to leave law enforcement authorities on edge. The Twin Towers jail complex in downtown Los Angeles was locked down briefly this morning when a worker reported seeing “an individual outside that resembled suspect Dorner,” sheriff’s spokesman Steve Whitmore said. Nearby streets were blocked off, but there was no sign of the suspect. Some media outlets reported that Dorner’s ex-wife works at the Twin Towers jail. The LAPD has been on full tactical alert, which extends officers’ shifts, nearly continuously since the Thursday morning shootings in Riverside County of three police officers, one of whom was killed. The tactical alert was lifted about 7:30 this morning, and reactivated about three hours later, the LAPD reported. Meanwhile, in other areas of the Southland, police were also maintaining security details aimed at protecting colleagues named as targets in a manifesto written and posted online by the suspect on Monday, authorities said. Norwalk Christian School — where Dorner wrote that he first experienced racism in the first grade — remained closed for a second day as a security precaution. Authorities are unsure if Dorner ventured into the rugged terrain in San Bernardino County or if the truck was set ablaze as a diversionary tactic. They said they were not aware of any vehicle having been stolen since the burned-out truck was discovered. Deputies had gone to about half of the 400 vacation homes in the area and there were no signs of forced entry at any of them, Cindy Bachman of the San Bernardino County Sheriff’s Department said late Thursday. The pickup truck discovery led to the lockdown of Big Bear-area schools, which was continuing Friday, and the closure of the Bear Mountain ski resort. Dorner — a U.S. Navy reservist whose last known address was in the 4900 block of Sharon Drive in La Palma — is black, 6 feet tall and weighs 270 pounds. Anyone encountering him should consider him “armed and extremely dangerous” and should not approach or try contacting him but instead call 911 immediately, police said. A tip line has been established, (949) 724-7192. People can also call Riverside police at (951) 787-7911. Numerous officers have been standing guard outside LAPD headquarters in downtown Los Angeles since Dorner was identified Wednesday night as the suspect in the slayings of 28-year-old Monica Quan and her fiance, 27-year-old Keith Lawrence, who were found shot to death at 9:10 p.m. Sunday in a parked car at 2100 Scholarship in Irvine. The couple was inside Lawrence’s Kia, which was parked at the top of the five-story parking structure of the condominium building where they lived. According to police, Quan was the daughter of a retired LAPD captain who represented Dorner at the Board of Rights hearing that led to his firing, and the killings were allegedly carried out in an act of revenge outlined in the lengthy manifesto, in which Dorner blames Quan’s father for losing his job. Dorner was hired by the LAPD on Feb. 7, 2005, and was fired Sept. 4, 2008, for allegedly making false statements about his training officer, police said. After Dorner was named as the suspect in the Irvine killings, his gray Nissan Titan pickup truck was spotted around 1:20 a.m. Thursday in the Corona area by a resident who alerted a pair of LAPD officers en route to protect someone named in the manifesto. The officers were trying to catch up to the vehicle near Interstate 15 and Magnolia Avenue when Dorner allegedly opened fire on them, grazing one officer in the head. The officers returned fire, but Dorner, wearing camouflage fatigues and using a shoulder-held weapon, escaped, police said. A short time later, Dorner allegedly ambushed two Riverside police officers who were stopped at a red light at Magnolia and Arlington avenues in Riverside, according to Riverside police Lt. Guy Toussaint, who said the two were on “routine patrol” and were not searching for Dorner at the time. One officer — a 34-year-old, 11-year veteran of the force — was killed. The wounded Riverside officer, who is 27 years old, underwent surgery and is expected to fully recover, Riverside police Chief Sergio Diaz said. Early Thursday morning in Torrance, meanwhile, LAPD and Torrance police officers opened fire in separate shootings about a block apart due to sightings of two trucks matching the description of Dorner’s Nissan. In the LAPD shooting, two women delivering newspapers were wounded. Chief Charlie Beck said they were the victims of mistaken identity. One of them, a 71-year-old woman, was in intensive care with two bullet wounds to her back, the woman’s attorney told reporters. the other woman was shot in the hand. Beck noted that Dorner unsuccessfully tried to steal a boat from a man in San Diego County on Wednesday. Also in San Diego, police surrounded a military base and hotel in Point Loma on Thursday after receiving a report of a suspect matching Dorner, but nobody was found. In the LAPD hearing that resulted in his termination, Dorner was represented by then-LAPD Capt. Randy Quan, the father of Monica Quan, according to Irvine Police Department Chief David Maggard. Dorner posted his manifesto online Monday, saying he didn’t mind dying because he already died when he was fired from the LAPD, Maggard said. He wrote that it had been his life’s ambition to be an LAPD officer since he served in the police Explorer program, and he blamed Quan for his firing. 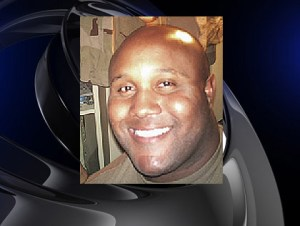 “I never had the opportunity to have a family of my own … (so) I am terminating yours,” Dorner wrote. Dorner’s manifesto essentially described his plans to begin a military-style assault against the LAPD, according to Beck.